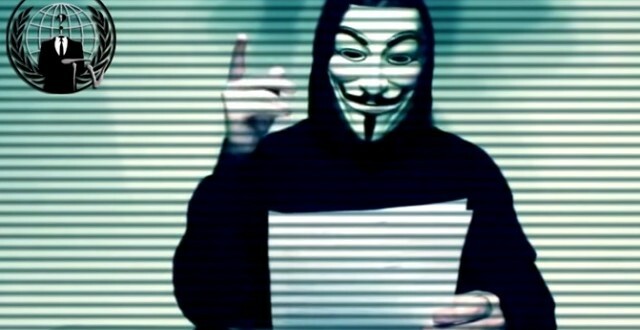 Last year we were all thrilled when Anonymous, the hacktivist collective, pledged to take down ISIS through their dangerous social media webs. Now, the online vigilantes have set their sights on another target — Donald Trump. The group issued a call to arms in a YouTube video, urging hackers to shut down Trump’s websites and expose “what he doesn’t want the public to know” on April 1. It’s a revival of a campaign that began in December, after Trump called for a ban on Muslims entering the United States. Trump’s political opponents, meanwhile, have been doing their best to disrupt the campaign in a more mainstream fashion — with digital ads that call him out by name. This outfit is a joke. They are still working on ISIS who is still growing. I think that Donald is shaking in his million dollar boots.